Conec, right angled PC D-sub connectors have machined PCB contacts and are used on PCB boards for equipment in industrial control systems, computer environment, professional audio kit and in telecommunication equipment. Conec ‘stacked’ Standard D-sub connectors have right angled, precision machined contacts with 0.625″ – 15.88 mm or 0.750″ – 19.05 mm connector spacing. Designed to save PC board space, the dual port concept provides two I/O connectors using the minimum amount of board footprint. 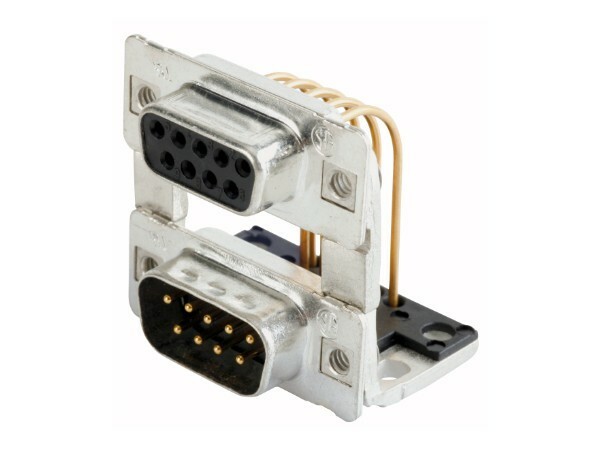 Dual Port, stacked right angled D-Sub connectors are a popular space saving interface for many I/O applications. Offered in 9, 15, 25 and 37 positions they are a good choice for a cost effective industry standard connection and are ideal for PCB space saving applications, being fully compatible with mating industry standard single d-subs. Options include a choice of contact plating and a variety of mating, mounting and grounding options. The front metal shell helps reduce EMI/RFI emissions.